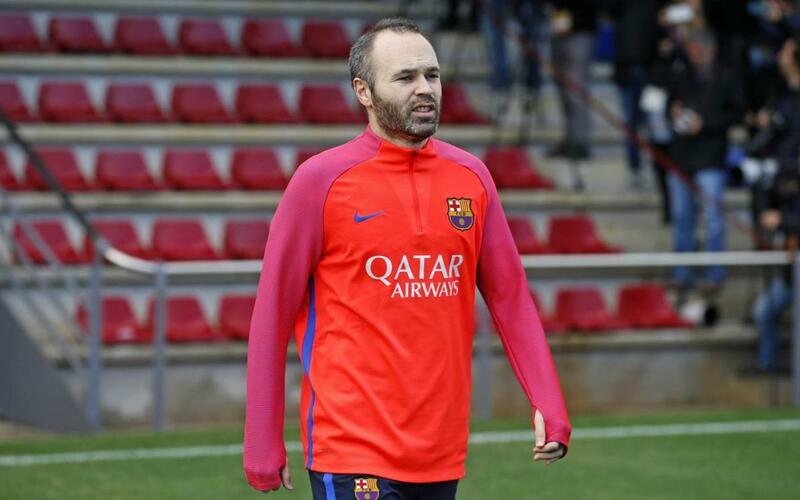 A model footballer who was developed at La Masia, a paradigm of professionalism and humility who carries Barça’s DNA in his blood, Andrés Iniesta is at the peak of his career. Having recently celebrated the 20th anniversary of his debut for the Club, the Fuentealbilla (Albacete) native has blossomed into one of Barça’s household names. In the following interview, the 32-year-old midfielder opens up to Barça Magazine about his career and the Masia 360 project. In your book, The Play of my Life, you explain that the worst moment in your Barça career was the first night you spent at La Masia. Personally, it was very hard to separate myself from my family at such a young age, considering the life I had in my town, near all my loved ones. Having to leave them was very difficult and was one of the worst days I have experienced, but the enrichment you get by coming here is unmatched. What is your best memory from your time at La Masia? The best is seeing what I have become. I can’t say just one moment ... although it is true that the day I debuted in the first team is the most important one for me, because after years of pursuing my dream I had the opportunity to fulfil it. You’ve said that coming to La Masia was the most important thing that ever happened to you. By far all the years I lived at La Masia and growing up at the Club led me to become the athlete and person I am today. How did your parents make the decision to let you come? I made the decision myself in agreement with my parents. At just 12 years of age they could have said no, but I was coming to a better place, to a Club that would give me the opportunity to grow as a player and as a person. I think my parents saw me as a responsible kid for my age and that I knew what I wanted, and I think that was very important in deciding. What would you have done if you had stayed in Fuentealbilla? Having the family that I have and how things were going, I suppose that I would studied for some qualifications as lots of people. The school was quite close to home but if you want to go to university then you have to go to Albacete or beyond. In a small town it’s tricky, it’s common for youngsters to start work. It’s a source of pride, no, to play for the same club during your entire career? That’s my hope and has been for a long time. When you start and everything is new, you never know what is going to happen but as things develop and become more important, you always have the hope of retiring here. I had the goal of being a success at Barça when I arrived and until I did that I was not satisfied. There were difficult moments when I was happy to play 10 minutes here rather than more time in another team, and that has allowed me to achieve other things. You are 32 years of age and you are in the best form of my career, but you must know that the majority of your career is behind you. Have you thought about what your life will be like when you are no longer a professional footballer? I don’t think about it. Perhaps there are days when something occurs to you, other days something else. But at the moment I am thinking about what I will do. I know that one way or another I will continue to be linked to football. Would you like to remain linked to Barça? Do you know anything about the Masia 360 project, what do you think about it? I think it is an ambitious project and a quality one that allows important things to be done at all levels, not just for the people who have gone far at the Club, but everybody who passes through. It’s a chance to take part in important things one’s life. A project like this makes the Club even greater. What would you say to the parents who bring their kids to Barça? That they should be relaxed, they are in good hands. If they take that decision then it is because they know it is the best place for the kids to develop in the right way. But we should not kid ourselves, each person is different and at the moment I think that reflects today’s society. The world has changed a lot and la Masia is a reflection of that and that is not easy to manage. For that reason, it’s really important that the kids and their families have the right attitude. Without a doubt, the people who work here know what they are doing and that helps, but I think the attitude of the kids and their family is very important too.